The corporal works of mercy are given in the account of the final judgment in Matthew’s Gospel chapter 25. They are the only criteria for entrance into the heavenly realm given in the Gospels. They are illustrated in a stained glass window you can see by following the links below. 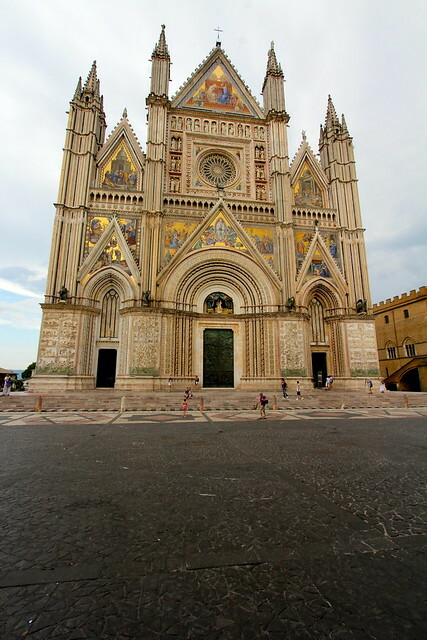 A wonderful synthesis is given on the facade of the cathedral of Orvieto. The overall facade shows in part the heavenly realm. 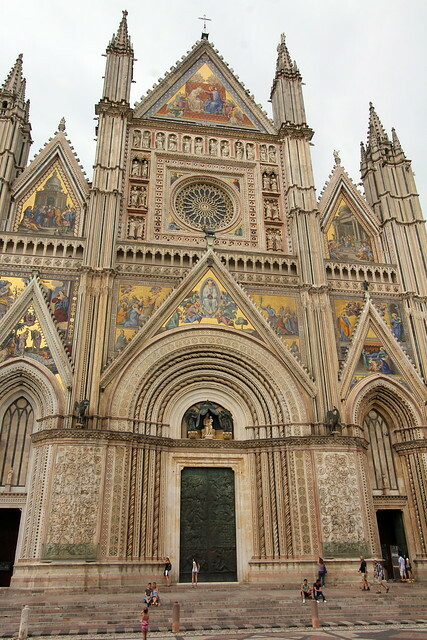 In the traingle above the door is the assumption of mary, and her coronation is at the penacle. Facing the setting sun, several elements of the facade speaks of time beyond the day, figuratively beyond history: eternity. 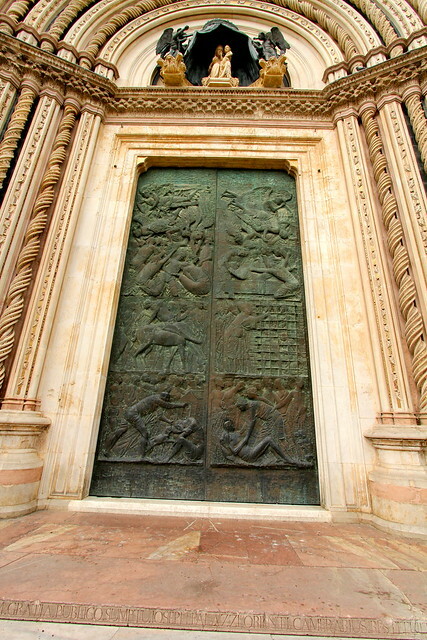 The main doors offers a relief of the corporal works of mercy. Here are the doors. 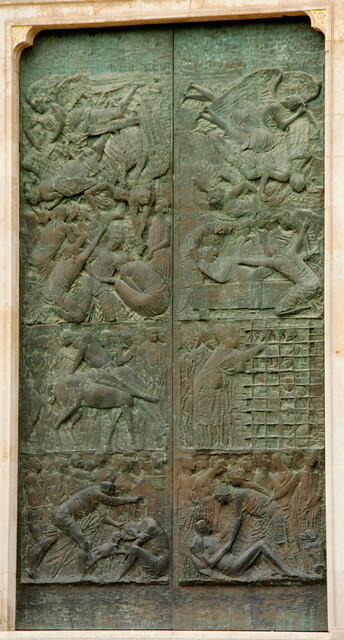 Here is a link to another image of the doors. Here is a close up of the bottom two pannels. Is this the one for welcoming the stranger? Giving shelter to the homeless. The overall window, link here. Feeding the hungry, link here. Clothing the naked, link here. Giving drink to the thirsty, link here. Visiting the sick, link here. Welcoming the stranger, link here. Visiting the imprisoned, link here.